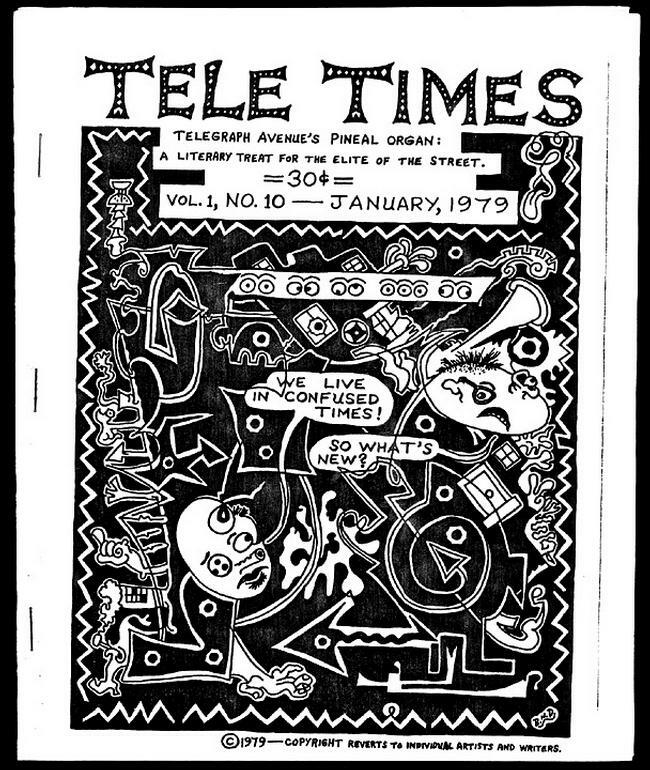 I have written about Bruce Duncan before, including a short post about his comic drawings – definitely NSFW. 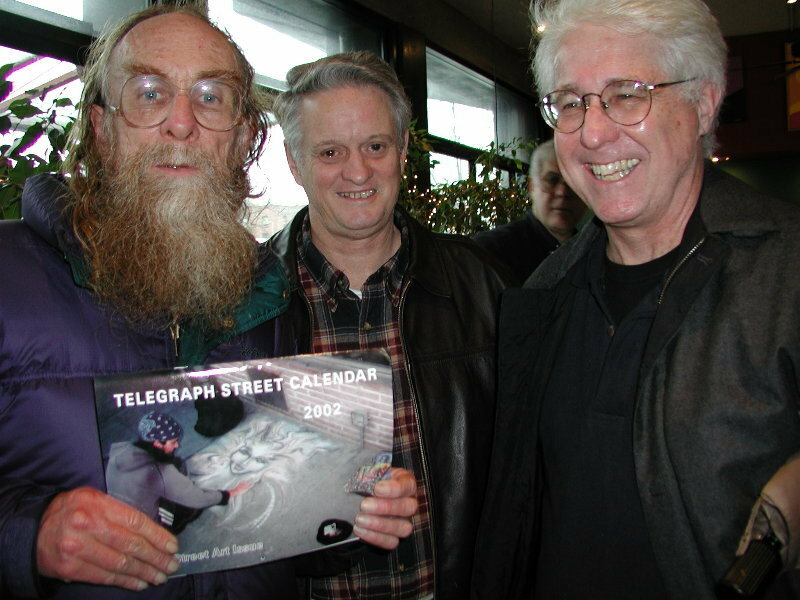 Duncan was an outsider’s outsider, a quiet and brilliant presence on Telegraph for decades. He survived on a modest disability payment, and was generous to a fault with the little resources that he had. 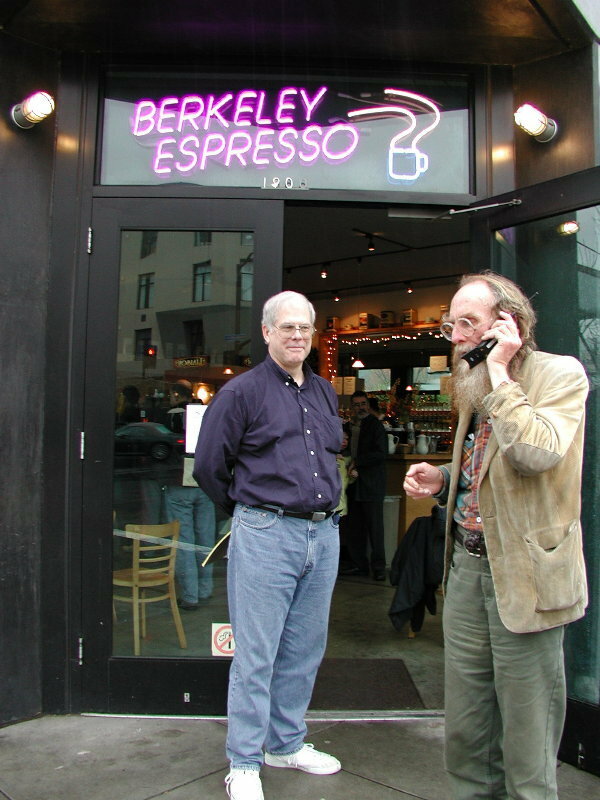 When Duncan died in 2009, his friend and at-times-collaborator Ace Backwords wrote as beautiful an obituary as I have ever read for the Berkeley Daily Planet. Duncan is a reminder of a Berkeley that is slipping away. There was a time when we saw the genius in outsiders, as far out as they may have been. We didn’t just tolerate, we supported. How would Duncan fare in today’s Berkeley? I am not sure. I know of some who would find him deplorable, not in keeping with their vision of an upwardly mobile Berkeley. But the rest of us? I don’t know. 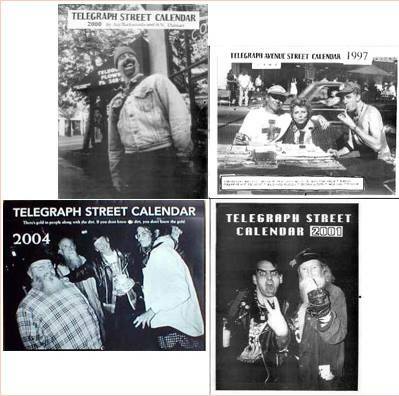 Nobody has picked up the street calendar torch that Duncan laid down. Ace Backwords has talked about it and I am sure that support would materialize for the project. Let’s hope that the calendar rises from its ashes. 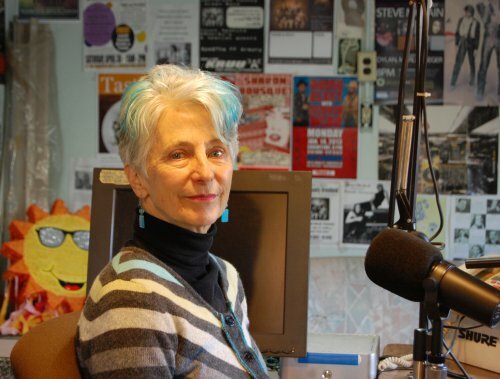 A Quirky Berkeley reader, Mara French, wrote me and told me that Duncan (born 9 July 1943) attended Oxford School – across the street from where I have lived since 1984 (its all about me!). 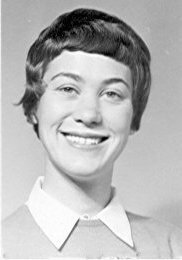 She directed me to a website that Kent Rasmussen, Jimmy Dean, and she created for their graduating class of 1955, from which a lot of the information for this post was gleaned. The website is http://rcsmail.org/%7Erjb/oxford/index.html. Reidar Bornholdt has taken over the website. 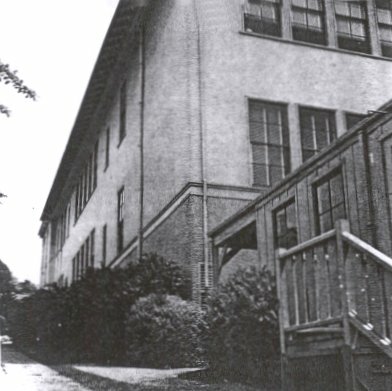 This is the school in 1924. You can see my house (its all about me!) in the background. 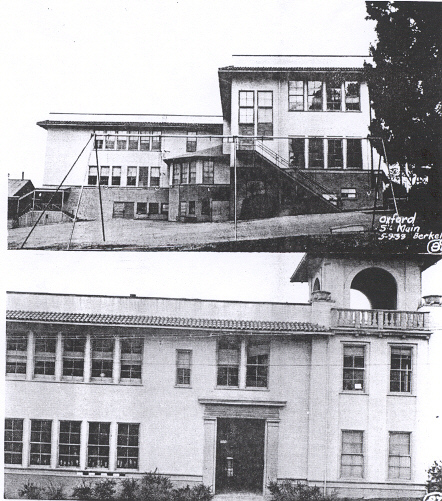 The upper photo is from 1933 and shows the upper terrace playground. The lower photo is from 1925. This is looking from the north, along the Shortcut path. 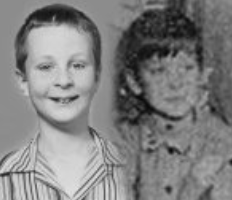 Here are some school photos of a very young Bruce Duncan while he was at Oxford School. 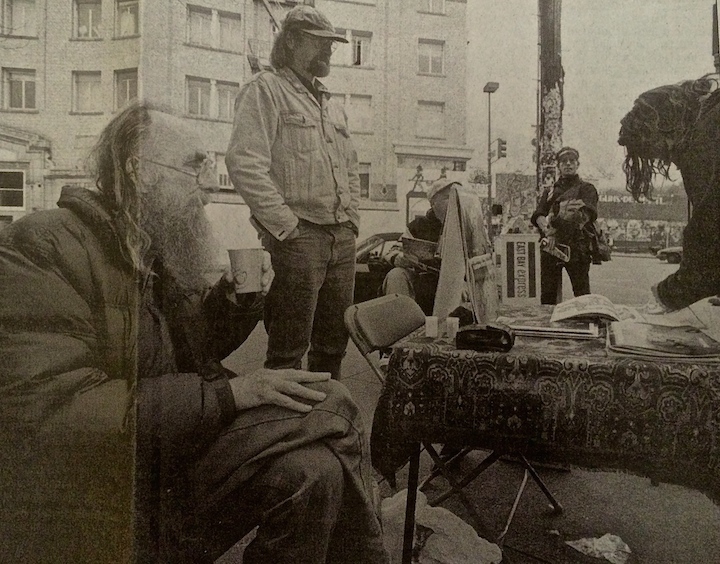 In 1950, one of Duncan’s classmates was Bob Avakian. Avakian is Chairman of the Revolutionary Communist Party. What a class that was! Duncan’s classmate Kent Rasmussen made this collage of official Duncan photos superimposed on a yearbook page from Garfield Junior High School (now King). 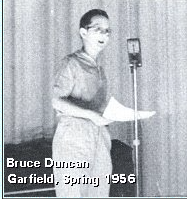 Duncan finished Oxford School to and then went to Garfield Junior High. 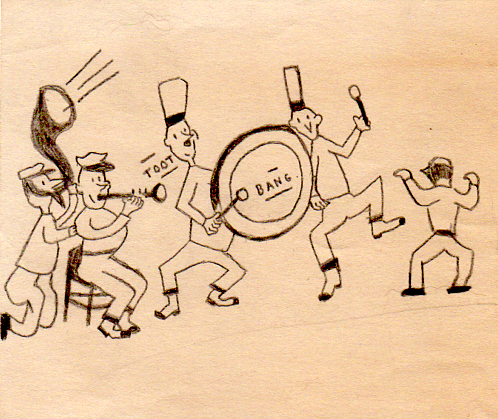 At Garfield, he appeared in several plays, told stories, and drew cartoons that amused his classmates, including these. 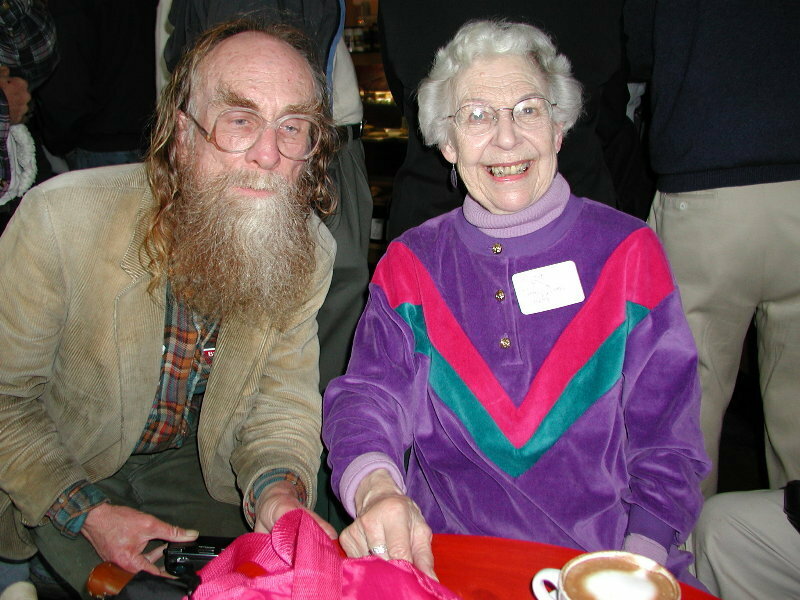 One of his classmates told Duncan’s Telegraph Avenue running partner Ace Backwords that Duncan was “the David Letterman of their class.” Duncan could be a character when he was in the mood. 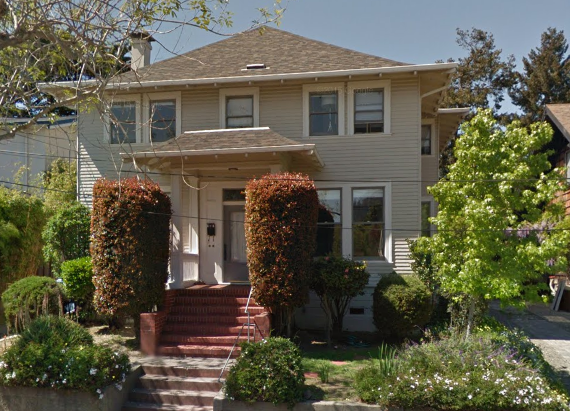 Duncan lived with his mother, grandmother, and sister Elaine at 1030 Merced Street. They moved there from Coventry Road in Kensington. On Merced Street, the four of them lived on the second floor and they rented out two apartments on the ground floor. 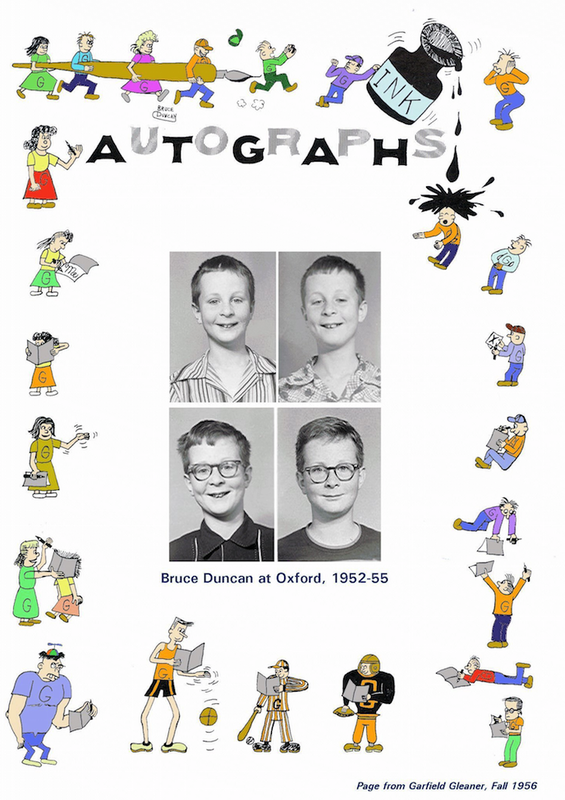 At Oxford, Duncan emerged as a budding artist. One teacher in particular, Miss Moulton, helped his classmates appreciate Duncan’s talent for art. He would create caricatures based on his stuffed animals. 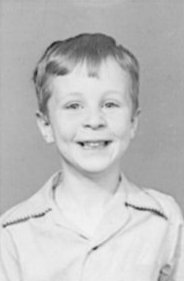 He was deeply absorbed in paleontology, even before first grade. In high school, Duncan was invited to spend a year in England with a friend whose father was a UC professor. During this year he began to shut down emotionally. After returning from England, his mother married a lawyer and they relocated to Pasadena. Duncan had a difficult time adjusting socially, and was hospitalized in a private institution for a while. He either graduated from Pasadena High or got an equivalency degree through a junior college. He never again found the happy and open state of mind that he had enjoyed at Oxford School. 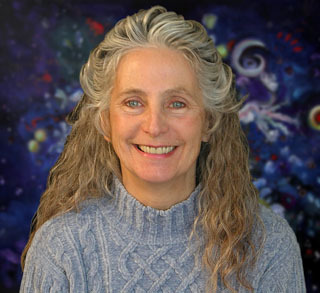 Oxford classmate Judy Mazia wrote: “Artistic talent definitely ran in Bruce’s family.” His sister Elaine is an established artist in Iowa. So – there you have it. A tiny glimpse into the childhood of a man who Ace Backwards called “one of the most relentlessly creative people I ever met.” You look at the photos of Duncan at Oxford School and you think of Phil Ochs singing, “And I’ll show you a young man with so many reasons why / And there but for fortune, may go you or I.” There are those among us – not many but some – who can see the good and genius and human in outsiders, no matter how down and out they may be, who would see Bruce Duncan and look past the physical appearance and see the person within. I showed the photos to my friend. He was sketching lettering for a sign that said “HPL.” No idea what it means. I didn’t ask because I have learned that asking will not lead to answering. He asked my opinion on the font he had sketched out for “HPL.” I told him I liked it, that it looked like cross-stitching. 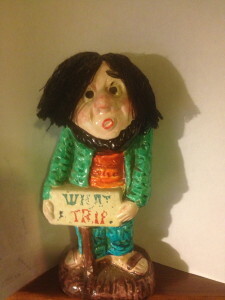 But – what about the post, the little boy Duncan images? I met Bruce a couple of times at reunions for his class at Oxford School. He was, a you noted, much loved and respected by his classmates. I was at Oxford 4 years ahead of Bruce’s class, but attended some of their reunions by invitation since I knew the kids in that class as younger brothers and sisters of the kids in my class. One picture above shows the Upper Terrace, not the Lower Terrace. The two Terraces at the old school (1910-1964) had specific uses during the school day. The Lower Terrace was for play of the older kids (4th to 6th Grades); the Upper Terrace was for the younger kids (Kindergarten to 3rd Grade). 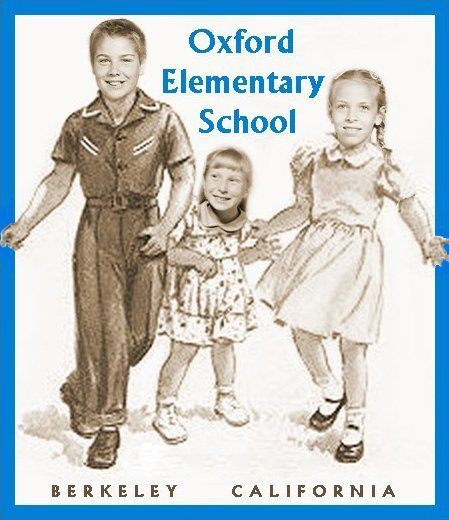 There was a 100th Anniversary of Oxford School in 2010 at the new Oxford School. Really too bad that Bruce didn’t live to see it and be there. Where would we be without your curiosity and archival abilities?! 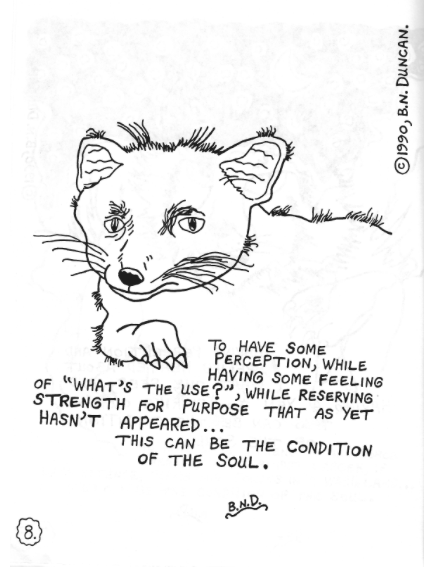 Here’s to all the outsiders and the functional people who tell their stories. Thank you, Mr. D!